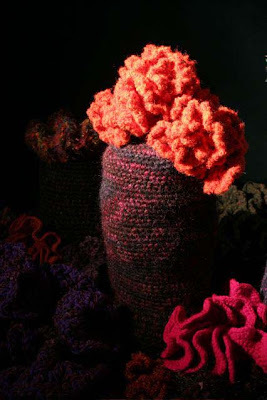 The Crochet Coral Reef is the brain child of Margaret and Christine Wertheim, co-directors of the Institute for Figuring in LA. Crochet and coral are the only ways to explain hyperbolic space, a very new discovery, and possibly the construction of the whole universe. 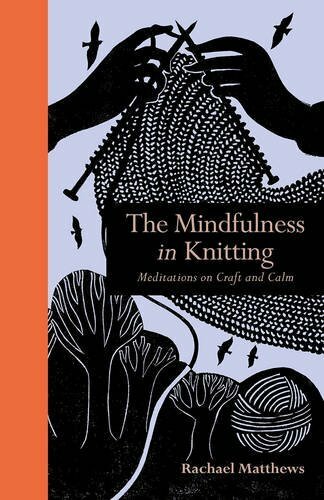 I am not going to attempt to describe to you how and why, because Margaret and Christine explain it so beautifully on their website http://www.theiff.org where you can learn about plant life, maths, space, and follow their easy crochet patterns. 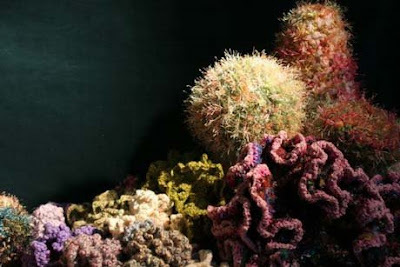 This project also raises awareness about how sick our coral reefs are. The Crochet reef is currently showing at The Chicargo Cultural Centre, but the London Reef will be exhibited in the main foyer of the Royal Festival Hall from Wednesday 11th june - Sunday 17th August 2008. The thing is....WE HAVE TO MAKE IT FIRST! Everyone can join this project and make some sort of coral. Remember no two plants are the same and there are NO RULES! Any yarn, any size and any colour is fine. The Southbank will be holding crochet circles through the summer and check the Prick Your finger events page for free workshops. The deadline for your named contributions is 2-8pm on Tuesday 6th May 2008 in the White Room, Spirit Level, Royal Festival Hall, or post to Cathy Woolley , Learning and Participation, Southbank Centre, Belvedere Rd, SE1 8XX or deliver it to Prick Your Finger. For a contribution form e-mail ukreef@southbankcentre.co.uk.